I hate buying houses. I don’t “hate” many things. But I’ve lost millions of dollars buying houses. The stress is unbearable when you need to sell. And you have no money when you need it. It’s a prison. The white picket fence is the prison bars. The bank is the guards looking in. And the need to protect your family keeps you in a solitary confinement of guilt and anxiety and stress. I won’t give all the reasons. 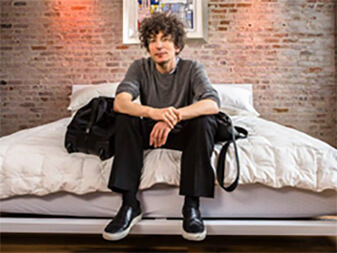 Google “Altucher” and “home ownership”. I wrote about it a few times. Then someone wrote against my arguments and I responded to those. On and on. BUT, some people simply MUST own homes. I will no longer argue with them. Everyone wants to know: is NOW the right time? they think it’s an investment. 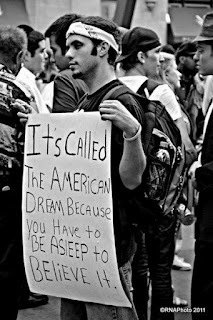 it’s the “American Dream”. Blah. Fine. Buy a house. Never forget that you are being brainwashed by banks, by marketing campaigns, by Fannie Mae (controlled by the government), by your job (that is afraid of you having mobility), by governments (that love to know where all of your assets are when they need to seize them), and so on. As long as you are aware of those, then you are ready for what I write below. But please at least do the below checklist before you make this decision. You have to say “YES!” to all of the below. And then it might be a decent choice for you. Or talking about them. Or talking to people who love toilets. Because, I hate to be the one to break this to you, but you are losing your hair. And clumps of hair will get in your pipes. And then your toilets will stop. And when guests are over the toilet will overflow and “stuff” will go all over the floor. It will happen. Good luck. B) YOU LOVE HOME DEPOT. It’s so amazing: empty aisle after empty aisle. It stretches to infinity. And nobody seems to work there. It’s like an abandoned Death Star. Where did all the Storm Troopers go? Is there one goddamn person who can tell me where the air conditioners are? And then the bug spray? And the shovels? I need a shovel. NOW! But there’s nobody. C) YOU DON’T KNOW HOW TO ADD. I have nothing against that. A lot of people can’t do basic addition. I’m one of them (see above: lost millions). If you don’t know how to add I have a solution below that makes it so you don’t need to know how to add. OWN = down payment + size of mortgage, + all the interest payments, + all the taxes (which can’t be calculcated since taxes will go up in unexpected ways) + all maintenance (which also can’t be calculated) + opportunity cost of time (which is minimal because you love Home Depot and toilets). RENT = All of your rental payments added up MINUS what you would make buying bonds with the money you would’ve used on a downpayment. You can argue that I should also MINUS what one would make from the rising value of a house. But it’s basically unpredictable and people put that money into buying the next house anyway. Housing prices in many parts of the country are still down from ten years ago. So who knows? And housing has not gone up faster than inflation over the past 100 years. And if you believe in housing as an investment you can Rent and then take what would’ve been your downpayment, borrow 100% against it (this is allowed in any bank) and buy a residential REIT on the stock market. Then it’s liquid and you can sell any time regardless of how the economy is doing. So if you truly believe that housing is going up from here (e.g. you are a prophet from God and somehow know these things when nobody else does) then you can rent and put all your money times two into a REIT. D) YOU LOVE DEATH, DEBT, AND DIVORCE WHEN IT HAPPENS TO OTHERS. There’s no way to predict if housing is going up or down. So you need to get Death, Debt, or Divorce on your side. These are basically the ONLY ways you can guarantee you are getting a better deal than anyone else. If every house in an area is going for $400,000 then you want to make sure you don’t pay more than $200-250,000. That’s called “good investing”. Good investing is not about predicting the future, it’s about getting a deal. This is an important concept no matter what you are investing in and it’s the concept everyone forgets. You get a deal when someone dies (and the kids don’t want to handle the hassle). And you get a deal when someone gets into too much debt (and, for instance, is foreclosed on). That’s it. Sometimes you get a deal when someone has to move for work also but in these days, this is usually related to Debt. Don’t buy a house unless you are getting a deal, even if you’ve convinced yourself you will living there for 30 years (remember: you can’t predict the future). Well, you don’t need a deal if…. E) YOU HAVE A LOT OF CASH. If you buy a house, have 4x the amount of the mortgage sitting in cash in your bank account. That seems like a lot, right? Why not just buy the house in cash? Because then you might run out of money. Particularly if there is a prolonged economic slump (again, unpredictable but why risk the worst-case scenario when you don’t have to). I don’t like to risk bad worst case scenarios. I don’t think there will be a big slump. But why take a chance with your life? Worst case scenarios are too scary! You can die! Cash is a beautiful thing. Having cash in the bank keeps you calm when everyone else is committing suicide. Treat your cash nice so it treats you nice. Don’t throw it all into a down payment on a house. As I explain in prior posts, that’s a very nasty thing to do to your cash. So there, that’s my checklist. I assume you do all the other things whether you rent or buy: look for good schools, live in a nice area, etc. This is not an argument against buying a house. I respect that many people want to own a home for whatever reason. This is just MY checklist. This is an argument to keep you sane so you can focus on other things in your life. Follow this checklist and whether you rent or own you will preserve enough of your sanity to be able to be creative and explore the world. Be an explorer, not a prisoner.